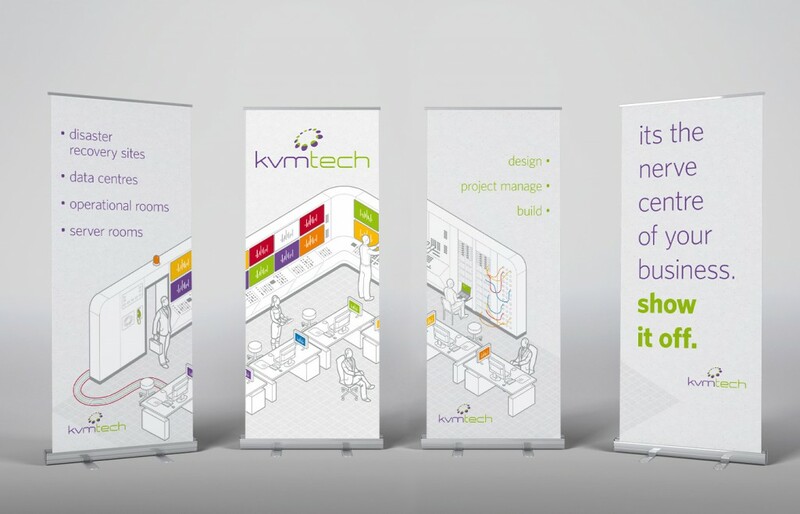 KVM required a portable and cost-effective solution to use as an exhibition space as well as some pull-up banners to advertise their server room systems. This set of 4 pull-up banners was what we suggested. The far left banner can be used on its own if space is an issue.